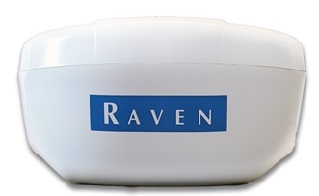 Raven's 'Smart' Antenna-Receiver is housed in the same enclosure with a magnetic base for easy mounting. Utilizes a Helix-style antenna to better track satellites low on the horizon. Magnetic base for easy installation and portability to other machines. Optional upgrade to e-Dif correction for additional fee. 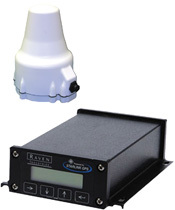 An in-cab Receiver allows for instant access to configurations and settings. Differential correction options: WAAS and CDGPS.